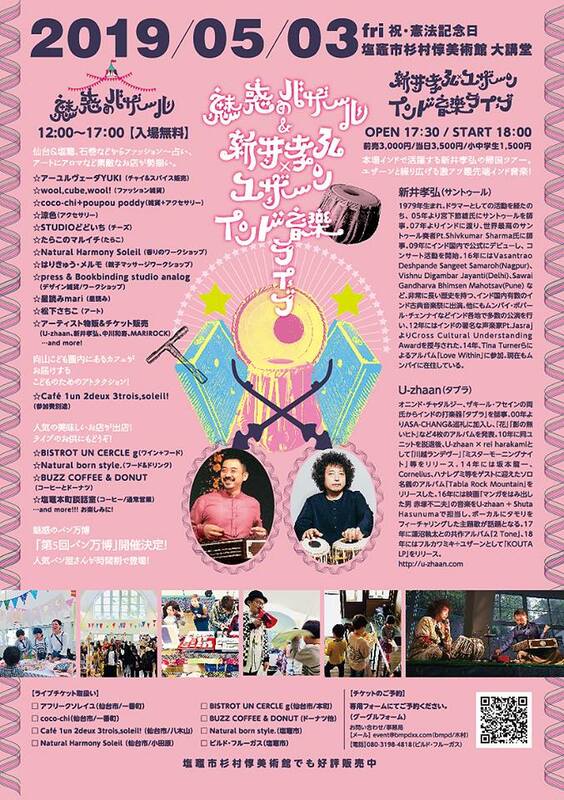 One-day Golden Week Bazaar in Shiogama! 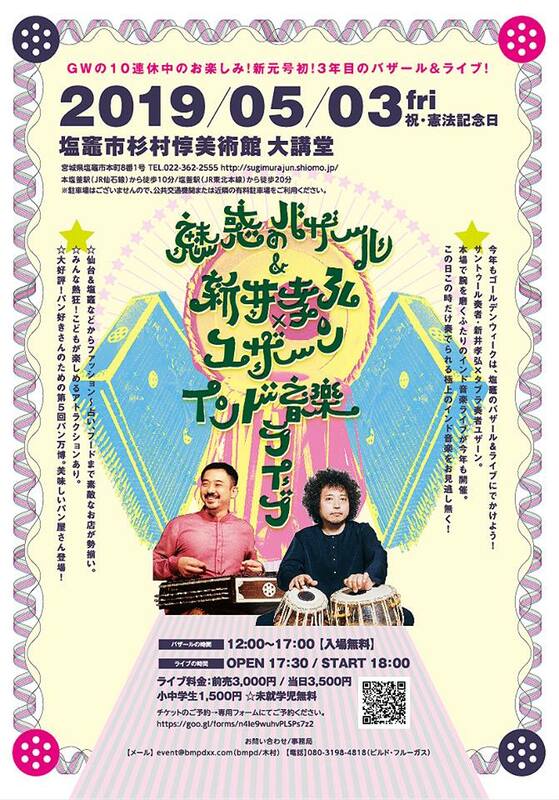 A special bazaar will be held at the auditorium of Sugimura Jun Museum of Art all day, on Friday May 3rd 2019. Come and discover local goods that you can only find in Japan, such as eye-catching pop-up shops which feature antique goods, fashion goods, and local foods such as bread, cheese, and spices. In addition, you will also find unique booths featuring acupressure services and even people who can predict your fortune. Gathering together at the auditorium of Sugimura Jun Museum of Art, these stands will be furnished by local stores coming from Shiogama and Sendai, as well as bread shops. There will also be some workshops, including those for children. After the bazaar, we invite you to join us for an evening of indian music from happening later! Please use the coin parking service around the museum or public transport to come to the venue. For more information, please call 080-3198-4818.